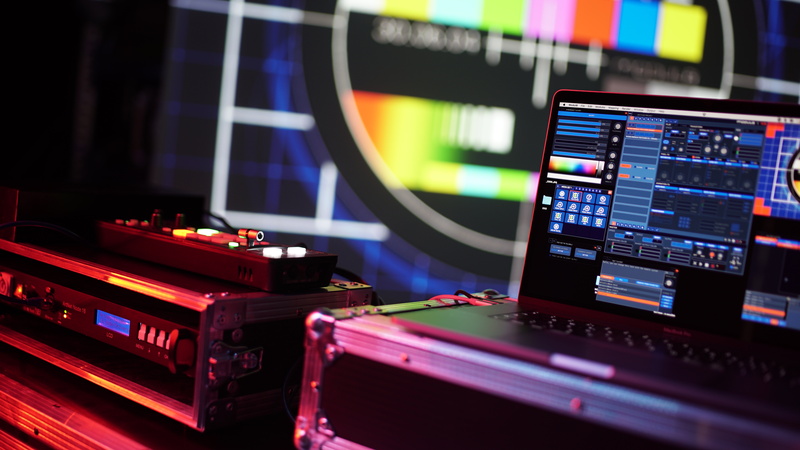 Designed for live performance and real-time video mixing. An extremely responsive, flexible, and easy-to-use tool. Used for multiple modes of expression like VJing, art performance, live showcases, and video production. modul8 is used in hundreds of projects around the globe by an incredibly active user community. modul8 is primarily designed for real-time video performance. Based on the layer metaphor found in leading graphic editing software packages, modul8 allows for intuitive real-time video composition. 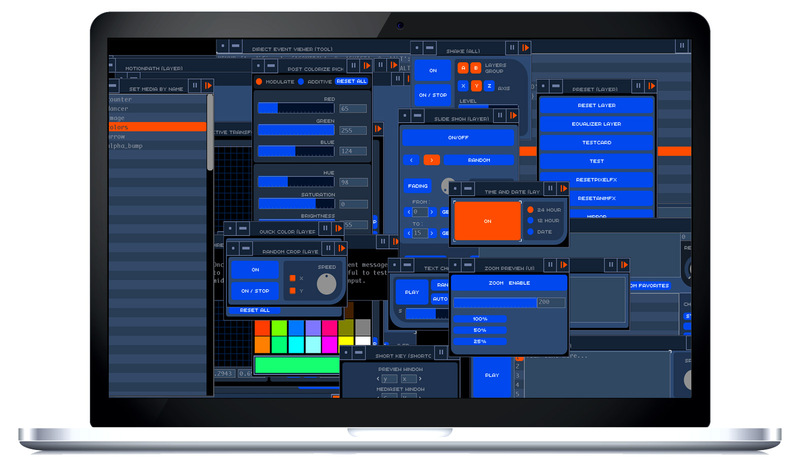 Everything can be manipulated in real-time, making this tool the ideal software for spontaneous improvisational creativity and live video performances. 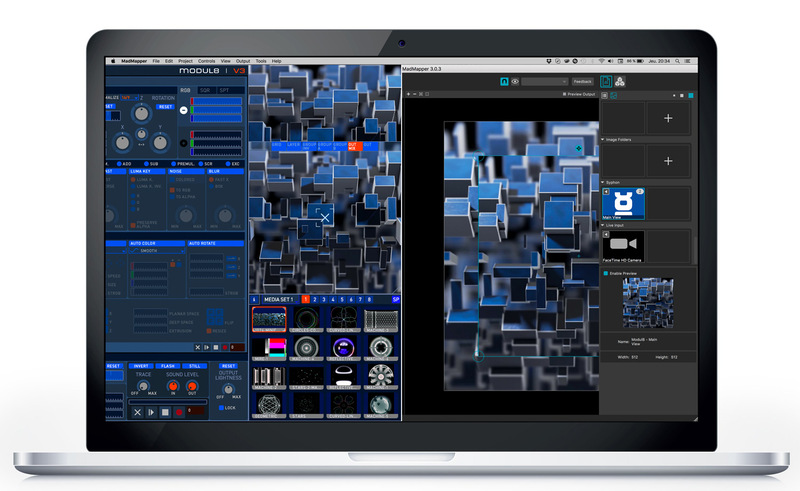 modul8 allows you to flex your creative muscles combining effects and filters, enabling you to develop your own style with spatial and temporal compositions. Each piece of media is a layer and can be manipulated in real-time. All effects, colors, shapes, and animations can be combined in a wide variety of ways. Instead of being constrained by predefined effects, you are in control of a genuinely creative tool, suitable for a mind–blowing live performance! An integrated system of modules allows you to create custom functionalities in modul8. This flexibility allows you to use modul8 in novel ways, such as interactive projects and installations. Create user interfaces using Python scripts and make your own modules directly in modul8. An online library integrated within modul8 allows you to access dozens of open source modules created by us and the community, available for free. You can download, tweak, and share modules! Want to use more than one type of interface? No problem, all of these functions can work together simultaneously. modul8 can be controlled in many ways. The simplest and most accessible approach is by using a mouse and keyboard, but why limit yourself? modul8 supports many different control interfaces, including MIDI, DMX, and OSC. 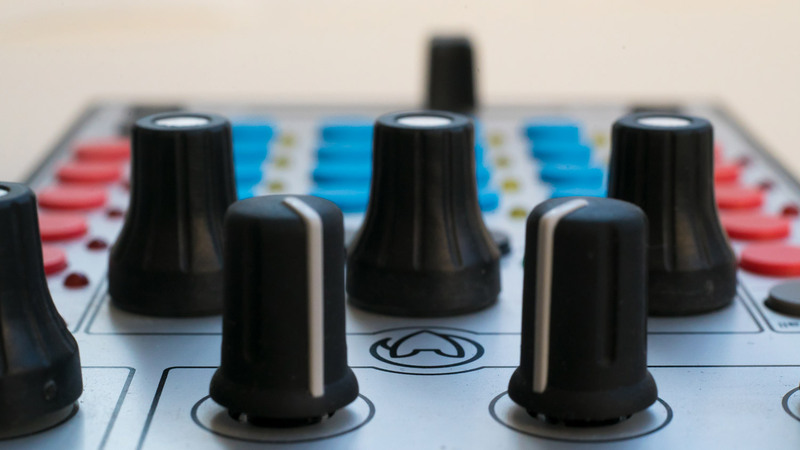 You can even use an audio signal to control parameters, or a beat generator to cue effects rhythmically. Our high-quality MIDI controller, micromodul8. Made exclusively for modul8 by Faderfox, Germany. While designed to work out of the box with no configuration necessary, you can also take full advantage of the flexibility of modul8 and reconfigure it to accommodate your unique style of performance. 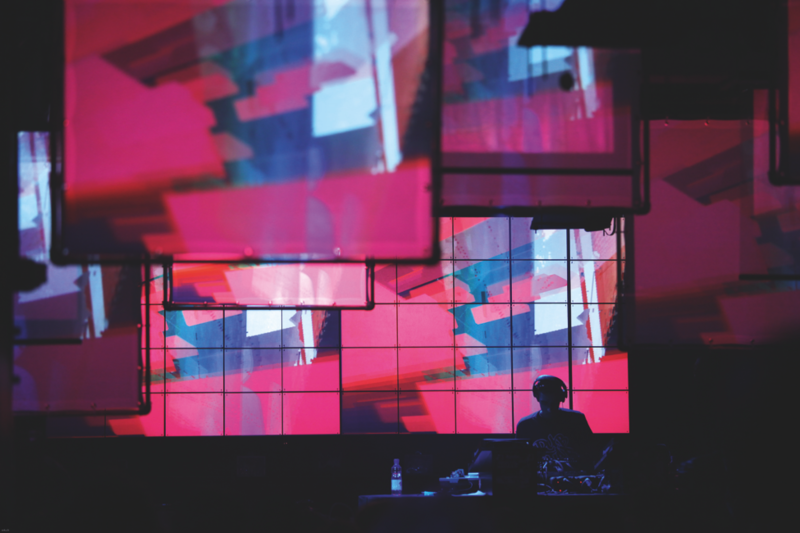 If you want to do an advanced VJ show that incorporates projection mapping, modul8 can be coupled with madMapper for a mind-blowing live set! Sharing content between the two applications is easy thanks to built-in support for the open source Syphon framework.